Last week I visited Liverpool to attend the TADCH conference jointly hosted by the Ironbridge International Institute for Cultural Heritage, University of Birmingham and the Collaborative for Cultural Heritage Management and Policy, University of Illinois. 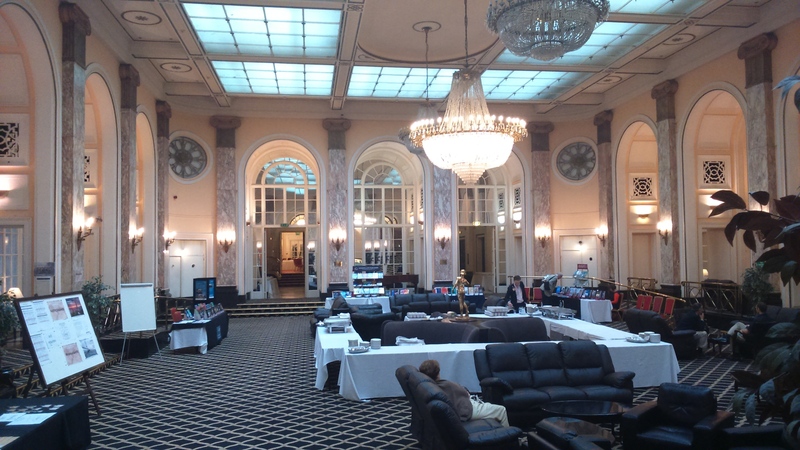 The conference venue was the main lounge of the famous Adelphi hotel, and the conference dinner was held in an exact replica of the 1st class smoking lounge on the Titanic. 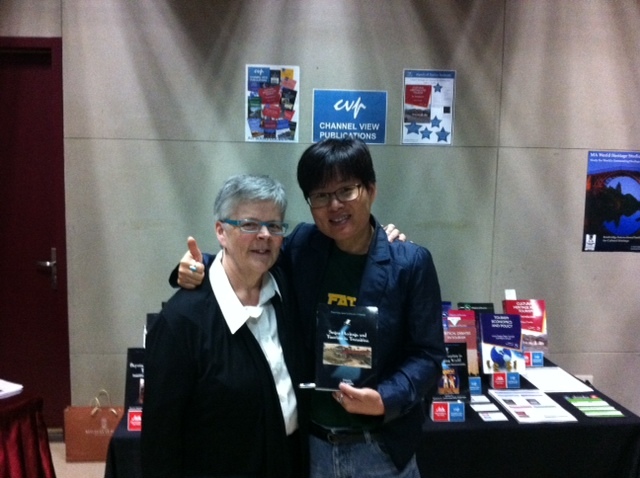 There were only a couple of people at the conference who were familiar to me, Mike Robinson, one of the conference hosts (and co-editor of our Tourism and Cultural Change series) and Philip F. Xie, author of the newly published Industrial Heritage Tourism, which was a popular seller at the conference. 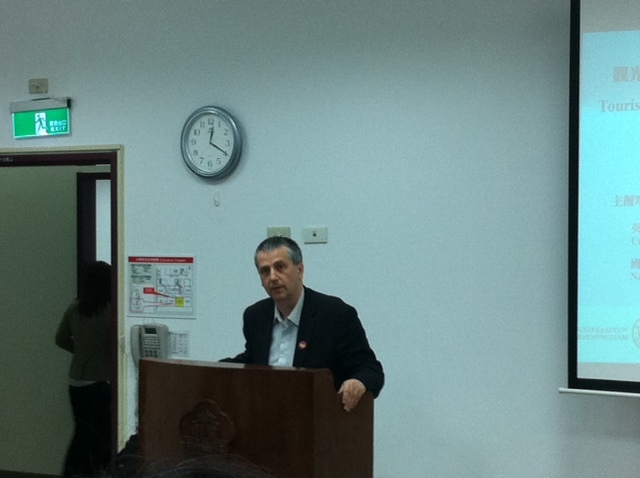 It was great to meet so many delegates from different areas; architects, archaeologists and historians among them. 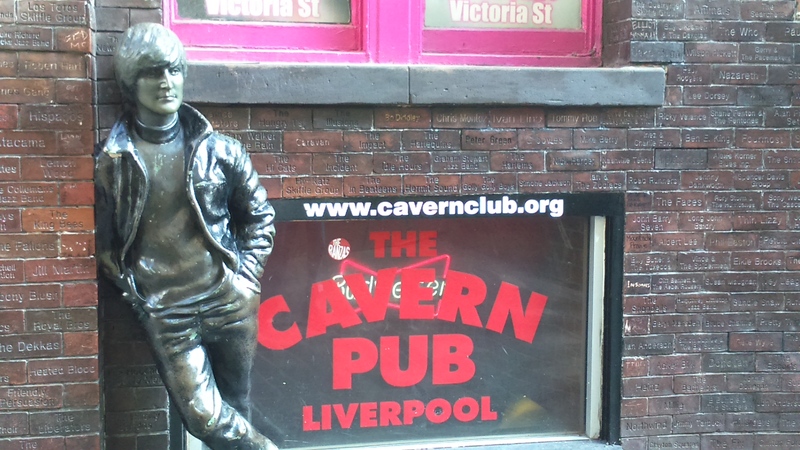 A trip to Liverpool would not be complete without some Beatles tourism. Every bar you walked past in the Cavern Quarter had live music pounding out which created a real party atmosphere. 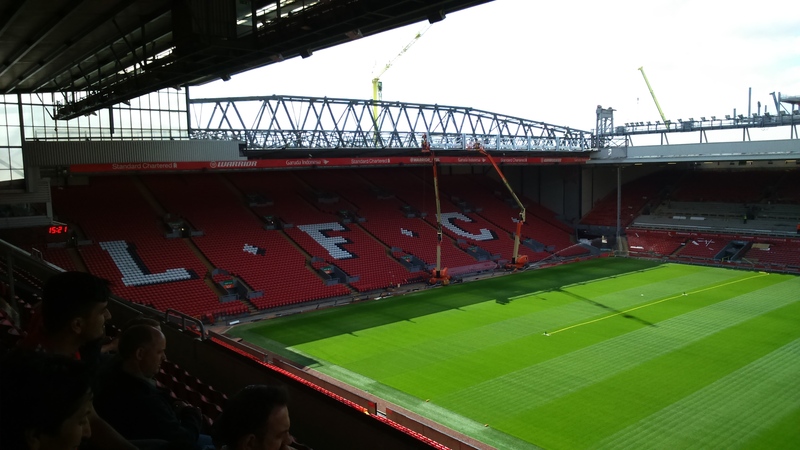 Though I am somewhat ashamed (as a Manchester United fan) to admit, I experienced a very pleasant and interesting tour of Anfield – including learning why The Kop stand is so named. 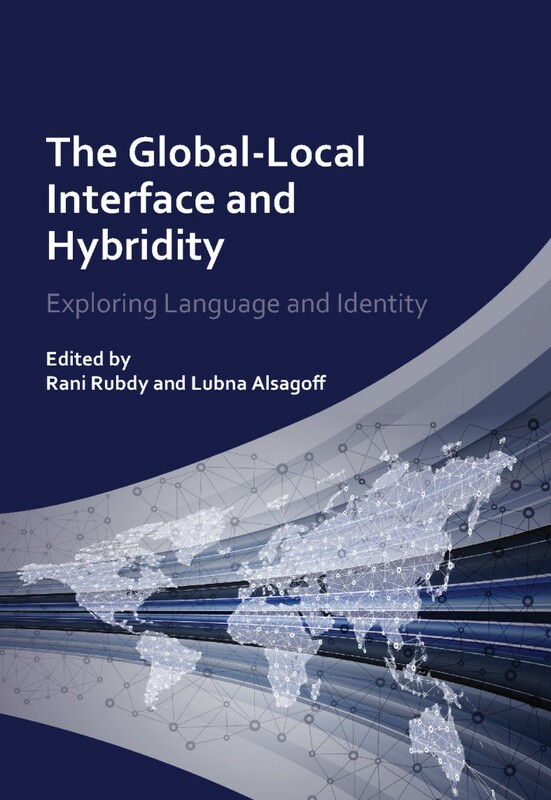 Earlier this month we published Rani Rubdy and Lubna Alsagoff’s book The Global-Local Interface and Hybridity and we asked them to tell us a bit about how the book came together. Why you may ask, did we choose to write about hybridity? Well, in this age of global flows and social networks, with so much give and take going on between people, cultures, ideas and ideologies, we think, as do many other researchers, that it is simply inconceivable to think of languages and cultures as separate anymore. The mixing and fusing that is part of globalisation is not just of food, dress, music, art, fashion or decor, or lifestyles, but percolates every aspect of language and culture. 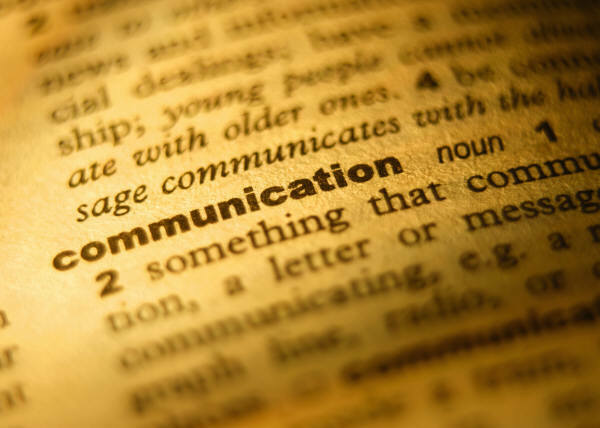 With the global spread of English, English is in the thick of these global flows! The hybrid mixing of languages typical of local and regional multilingual settings has created new constellations for English, as speakers creatively play with, blend, stretch and refashion their language resources in numerous fascinating ways. Our book tries to capture just this allure, richness and creativity of the varied realizations of English-based hybridity found in different parts of the world. Of particular interest to us is the way these hybrid formations open up avenues for exploring the subtle connections between language, culture and identity. 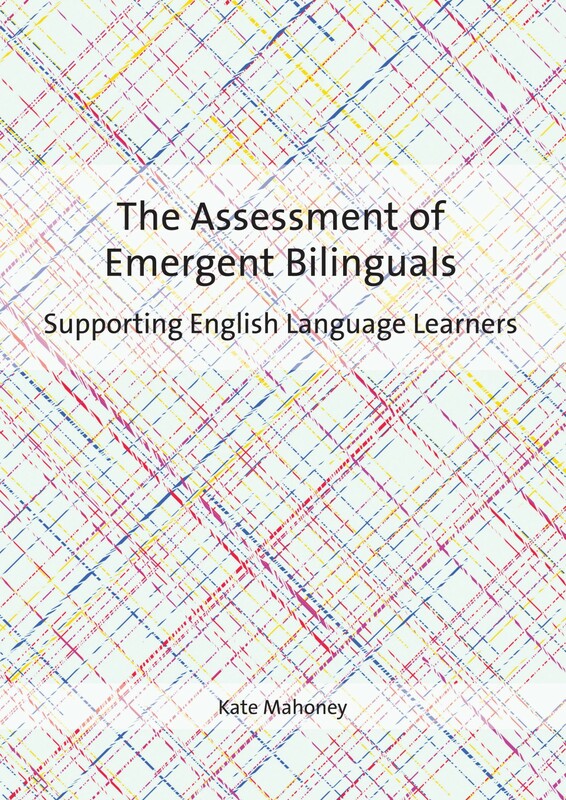 We’ve divided the book up into four sections, each focusing on specific aspects of linguistic and cultural hybridity. 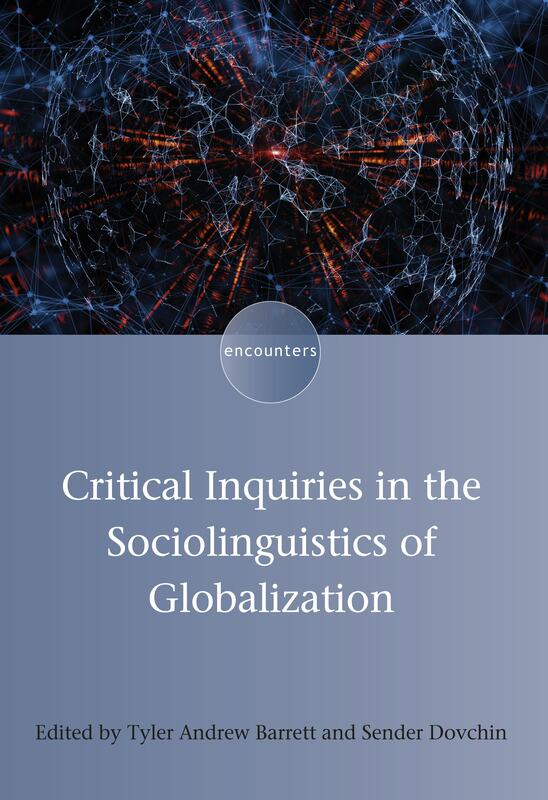 The chapters in the first section illustrate how hybridity can be significant in dismantling conventional, narrow views about linguistic norms and canons that define language as bounded, fixed, and separate. 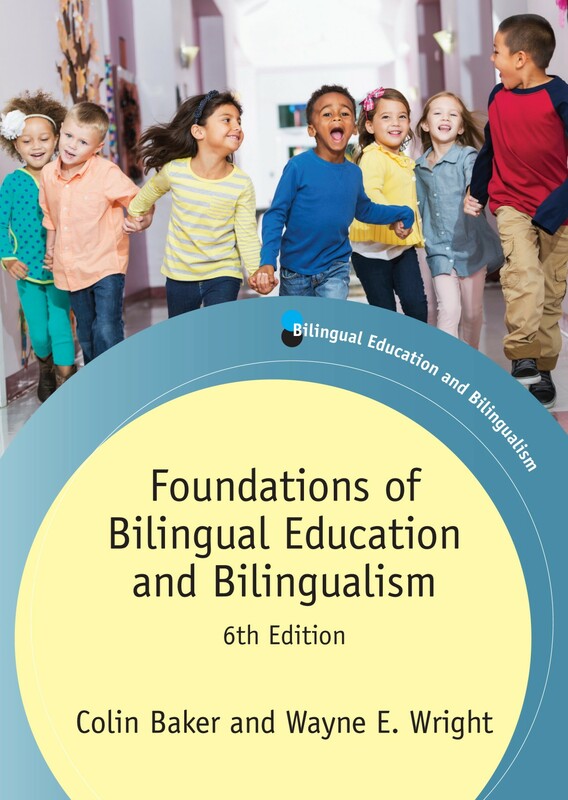 Whether occurring as inventive strategies in advertising and on billboards and shop signs in Tanzania, India and the Philippines, or in bilingual educational contexts involving Latinos in the US, or in the mundane conversations among colleagues in an Australian workplace, the manifestations of English-based hybridity is found to be more in tune with the view of linguistic fluidity and flow in a globalizing world. The second section of the book focuses on hybridized discourses in the media. Here the chapters describing instances of codeswitching between English and Hindi, Punjabi, French and Korean, respectively, depict the way they are in fact reflective of a fusion between local and global, old and new, traditional and modern speaker identities, often exploited as marketing strategies. The chapters in the third section set out to examine the linguistic practices of online communities such as Facebook, Internet and YouTube users, who develop hybrid vernaculars in forging new identities and remaking social relationships. How hybrid language use becomes a means of enacting glocal hybrid identities that can be both celebratory as well as conflicting is the theme of our fourth section, exemplified by chapters dealing with adolescent girls of Japanese and White mixed parentage, by Singaporean student teachers weaving their global and local identity orientations through online discussions and even through narratives of subjective introspection of the inner space in the context of the Filipino diaspora. Although the central theme is about hybridity, our authors are by no means presenting a “romantic” view of hybridity and offer a critical and balanced view of hybridity, acknowledging, in particular, the problematic dimensions which see corporate and market forces using hybridity to serve their own capitalist purposes. However, as we acknowledge that hybridity may not be able to fully address issues of social inequality or even notions of linguistic and cultural essentialism, we argue in our book that at its heart lies an attentiveness towards agency and voice for those who dare to break the bounds of convention! For more information on this title and for ordering information, please visit the book’s page on our website here. This month we published Tourism and Souvenirs by Jenny Cave, Lee Jolliffe and Tom Baum. We asked Jenny to tell us a little about her inspiration for the book. Souvenirs mark the identity of travellers and are ubiquitous ways that people share their experiences of travel with others, whether they are purchased at home to take to travel destinations or are purchased away from home. 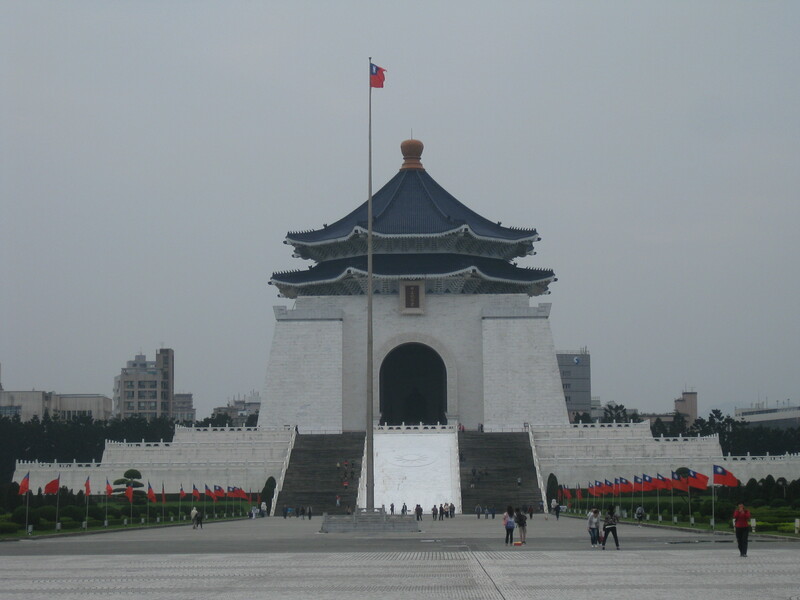 My background in heritage, museums and operational realities of the cultural industries has meant that I have developed an interest in material culture, which I share with my co-editors Lee Jolliffe and Tom Baum. I am also a weaver and come from a family of artist/producers so that this interest in material heritage crystallises around the challenges earning an income based in cultural and local natural resources. As lead editor I also share some common academic interests and backgrounds with my co-editors. Both Lee Jolliffe and I are graduates of the Masters of Museum Studies (formerly Masters of Museology) at the University of Toronto (Canada). Lee and I share a common interest with Tom Baum in Island Studies and tourism, and I had the opportunity to visit Lee in both New Brunswick and Barbados to start some joint research there on souvenir purchases by cruise passengers, which while not specifically reported on in the book, influenced the development of my own co-authored chapter on souvenirs at a New Zealand Cruise port. 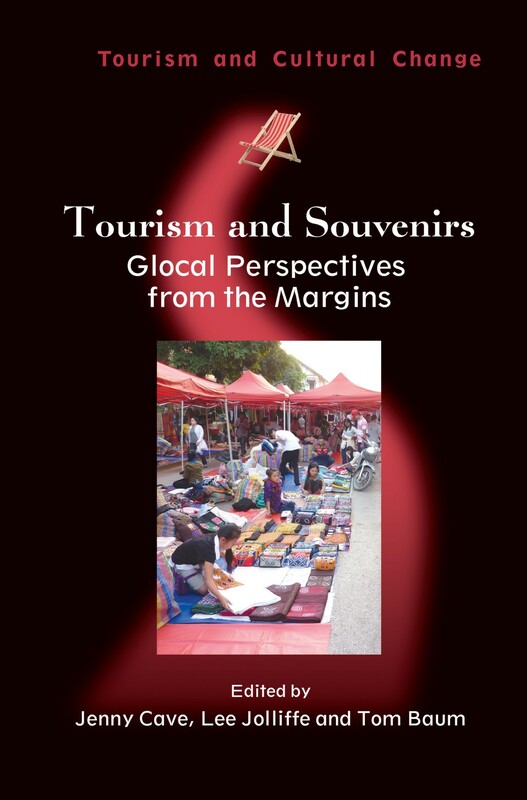 My co-editors, Lee Jolliffe and Tom Baum and I have worked with the developmental aspirations of many cultural communities around the world so have experienced first-hand the complex phenomenon of souveniring production, marketing, distribution and purchase processes. The unique glocal focus of the volume is a logical extension of our collective experience and profoundly different significations that are born of local and global place and identity, yet there are also commonalties when you compare locations and cultures. Tom’s participation in the project was pivotal to extending the reach of the research into the hospitality arena and in framing the concepts in the initial chapter. Personally, as lead editor I felt that it was important to raise the unconsciously expressed mutual influences that tourist purchasers and producers have on each other. Further, I wanted to get beneath the surficial view of souvenirs and repeated emphasis on a handful of key authors that appear in this literature, and to push the boundaries of understanding of the tourism as a sustainable industry, exploring this issue through the lens of souvenirs, providing a new foundation for future research. 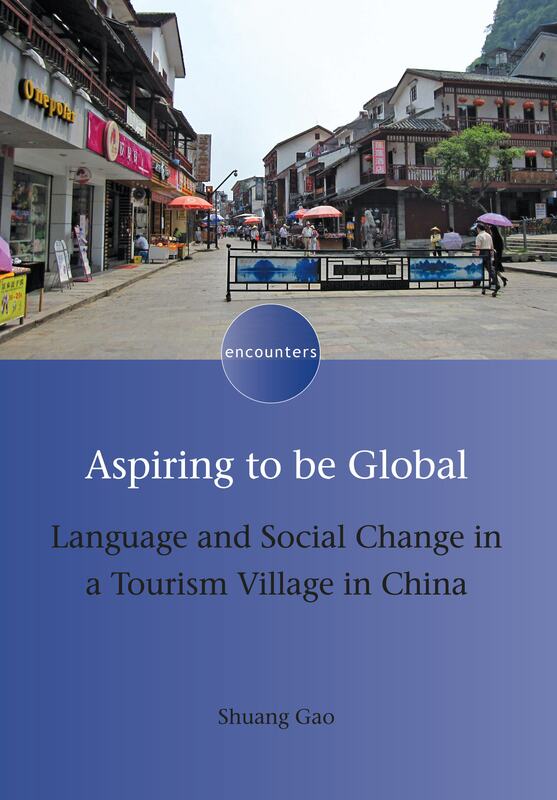 For more information on Jenny’s book click here and if you found the subject of this book interesting you might also like other books in the Tourism and Cultural Change series. With Slow Tourism: Experiences and Mobilities being published this week we asked one of the authors Simone Fullagar to tell us a bit about the slow tourism movement. Slow food, slow media, slow money and slow tourism. The slow movement has begun to permeate everyday ways of thinking about our relationship to the world. Across the globe media reports, personal blogs, travel books and slow conversations are circulating ethical questions about how we might live more sustainably and embody a different experience of time, place and social connection. Slow living is growing because it connects everyday pleasures with a political sensibility that gives rise to what sociologists have called the sphere of ‘life politics’. Perhaps we are at a tipping point where individuals are expecting more from life than the banal promise of happiness implicit in hyper consumerism, the slave like desire for success in work or the competitiveness evident in the ultimate travel conquests on the ‘bucket list’. The slow movement approaches sustainability from an angle that seeks different solutions to our environmental problems and cultural limitations. What does it actually mean to slow down and thoughtfully consider our food production and consumption practices? In our high tech lifestyles how might we start to reconnect with nature or appreciate diverse food cultures that are at risk of being lost? Where can we find low carbon mobilities that enable us to embrace a more leisurely pace of life by bicycle, foot or even canoe? Kate Soper refers to this desire for other ways of moving and engaging with the world that nicely captures the slow ethos – a form of ‘alternative hedonism’. 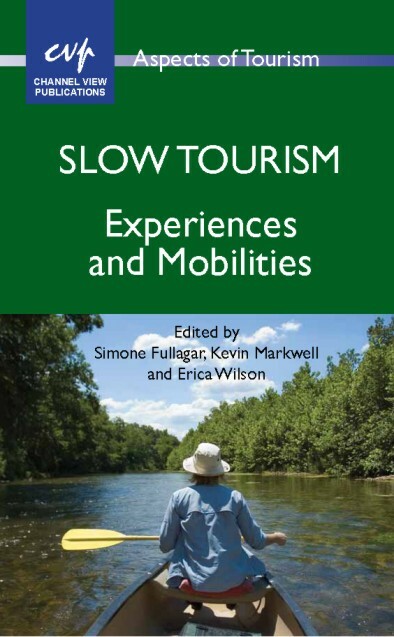 Our book on slow tourism explores these diverse concerns in a variety of contexts across the world – from WOOFing, wandering and cycle touring in Australia to the experience of slow Japan, the Indigenous context of the Yukon, yoga traditions in India and a volunteer project in Fiji. Some chapters focus on the sensory experience of the slow tourist (beyond the tourist gaze) who travels via canals, hitchhikes or undertakes pilgrimages, while others seek to understand the tourism provider – Dutch entrepreneurs in France and the rise of gastronomic tourism in Brazil. Rather than seek to pin down slow tourism as a definitive concept we aim to open up the slow conversation to see how it unfolds and where it might lead us next. All of us in the MM office are passionate about languages and language learning. Between us we already speak 7 languages at some level or another. And when we are not busy publishing the 48 books we publish each year, we like to find ways to entertain ourselves in the office. To combine our love of languages with our need for entertainment, we have decided to initiate a Language of the Month in our office. Each month we will pick a language that somehow relates to our work in some way, and between the 5 of us we will divide the tasks of teaching basic phrases, idiomatic phrases and proverbs, work-related vocabulary and phrases, travel information and cultural knowledge. We will spend 1 hour per week sharing the information that we have learned and attempting to master the basics, hopefully so that we can at least say please and thank you and ask for a cup of coffee and some cake in our chosen language. 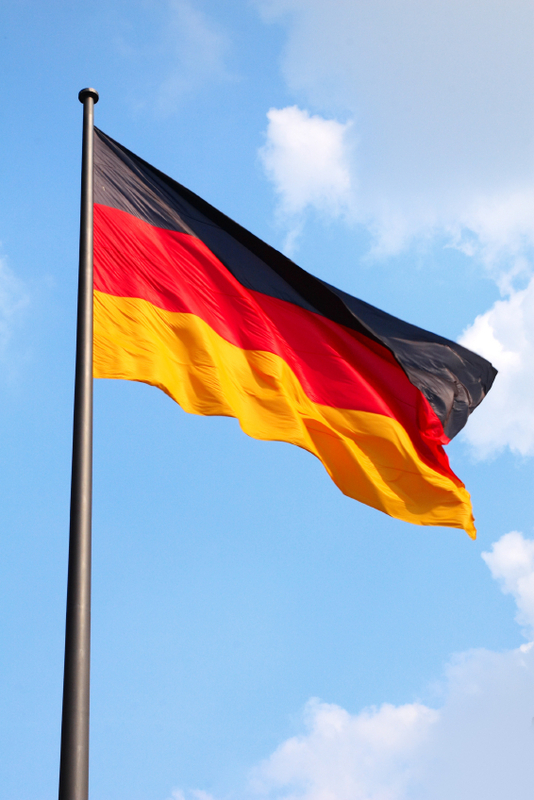 German in September – in preparation for our visit to the Frankfurt Book Fair. Maori in October – in preparation for Elinor’s visit to New Zealand to attend the TBLT and LED conferences. We will end each month by enjoying some traditional food and watching a film from each country. No doubt we will be in touch with some of our authors and editors for assistance on some of the languages, and we’ll be regularly updating readers of this blog on our progress!